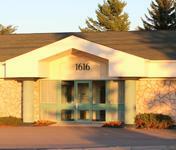 We look forward to welcoming you to Jones Lake Dental, the office of Dr. Matt Bradshaw and his team. Dr. Bradshaw is committed to excellence when it comes to your dental treatment and maintains the highest level of patient care. We are committed to learning your dental goals and challenges. Not everyone wants the same thing when it comes to their health! That is why we will spend some extra time listening to what you want for yourself and matching your treatment with your lifestyle. Whether you want improved health, improved appearance, or both, we are here to meet your needs. Our team is warm, approachable, and helpful. Even though we know patients are busy these days, we don’t just shuffle you through your appointment. We will do our best to see you at your appointed time and complete your treatment efficiently while creating a pleasant experience for you. Our team communicates with our patients and makes sure you understand exactly what to expect during your treatment. You are always in charge of your appointment, so if you ever feel uncomfortable, anxious, or just in need of a break, be sure to let us know. 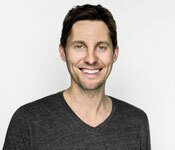 Dr. Matt Bradshaw is very gentle with our patients. We understand the dentist office may not be your favorite place to spend your afternoon, so the least we can do is make it a pain-free and pleasant appointment. Dr. Bradshaw also incorporates treatment methods and technology to make your necessary procedures more comfortable. Laser dentistry, for example, can reduce discomfort and healing time for certain procedures. Our thought is that combining technology with excellent, personalized patient care results in a dental experience that is the best of both worlds. 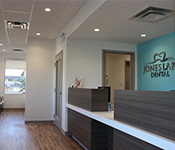 We offer general dentistry services at Jones Lake Dental in addition to a few expanded services such as implant placement and restoration, and implant-supported dentures. These services allow us to provide convenient care on-site for our busy patients. We proudly serve the Moncton area as well as the surrounding communities of Riverview, Dieppe, Salisbury, Shediac, Petitcodiac, and Hillsborough. We currently welcome new patients of all ages to our dental office and look forward to providing you with timely, courteous, gentle, and comprehensive care. Do you have questions for us or would you like to make your next preventative appointment? Give us a call and our helpful team will find a time that works for you to schedule an exam with Dr. Matt Bradshaw. We look forward to seeing your smile! We direct bill your insurance company!